Welcome to the wonderful world of FUNKY FOOD. Here you will discover a whole new concept with regards to your everyday catering needs. Not only can we boast with 25 years of experience in the hospitality trade, but we can also offer you the best food at the most comprehensive prices available. This website is designed to take you on a tasteful journey, discovering new and fresh ideas and mouthwatering dishes for that perfect function that you are planning. 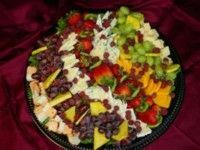 Not only will you find the traditional dishes that we all know and enjoy at functions, but also the exotic and different ones never offered by any other catering company. That’s where the name comes from… FUNKY FOOD… we can do everything FUNKY and different… from the dishes in which we serve our masterpieces to simply the menu itself. We offer both traditional and exotic dishes. Detail is essential, just like the passion that we put into our food. More is better… never leave hungry. Funky Food is part of a network of companies, all owned by the same person. Funky Food represents the catering department of our vast network. Alleycat Entertainment (check out www.alleycatentertainment.co.za) supplies the Entertainment for any event, including Sound and Lighting, DJ's, and even Comedians. Crystal Ice (check out www.crystalice.co.za), our third sister-company, cater for the nightlife and services the Club, Pub and venue-based entertainment industry with all ice-related products. Just like a good wine, a great menu takes time to set up. Good food also takes time and patience to create. We ask that you take your time when browsing through our website. We are sure that you will discover some great dishes. Also remember that you may always add or remove dishes from a menu, or simply create your own!! We also have a great selection of platters and other finger-food, perfect for the office party, sundowner or break during that all-important meeting. 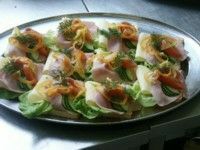 We also do snacks for funerals, birthday parties, reunions, get-togethers, clubs and pubs. Whatever your need, we are sure to meet your request and expectations.Also remember that we offer a full rental service on all cutlery, crockery and most items you would normally need to host a party, including dish-bowls, plates, etc etc. Copyright 2007-2009 www.FunkyFood.co.za. All Rights Reserved.